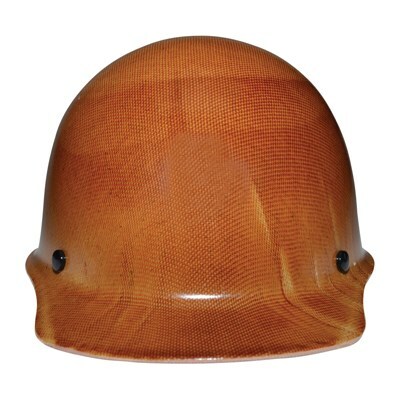 When you need head protection that is heavy duty and can stand up to high temperatures you want the MSA Skullgard. The MSA Skullgard is a heavy duty, six layer construction to ensure you complete protection. It perfect for use in steel mills, machinery plants, and other applications where high temperatures are present. This hard hat features a Fast-Trac III ratchet suspension system which is a shock absorbing 4 point suspension, equipped with a fully padded headband, three levels of nape strap adjustment, lower nape strap to cradle head and a smooth ratchet rotation. The MSA Skullgard complies with ANSI Z89.1 Type 1 Class G Standards and is SEI certified.